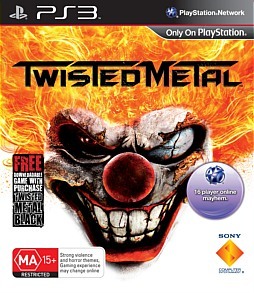 Twisted Metal PS3 Review. Twisted Metal feels like a game that was released for fans of the series, with old-school controls, simple visuals and audio. 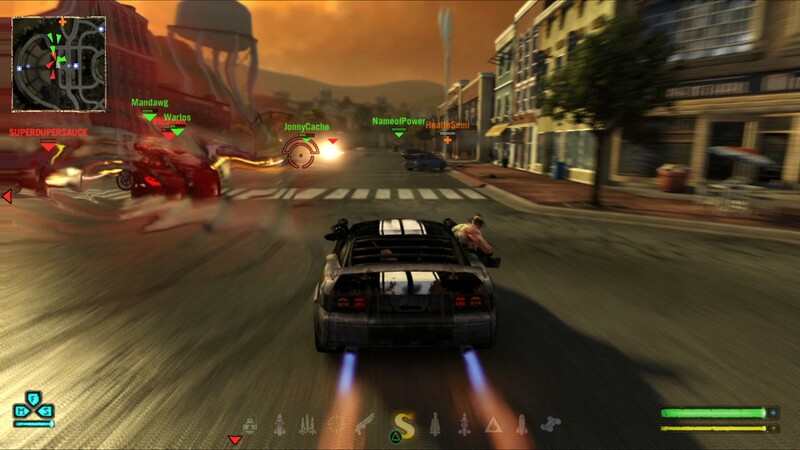 The original Twisted Metal was released over 15 years ago; it featured car combat, with the sole aim being to destroy other cars with a wide variety of heavy weapons. Many gamers, including myself, have a soft spot for this franchise and for those like me the latest release was highly anticipated. This is a highly nostalgic affair; the concern for many was if the latest installment of the series would do enough to still stay relevant in modern gaming and appeal to a new generation. 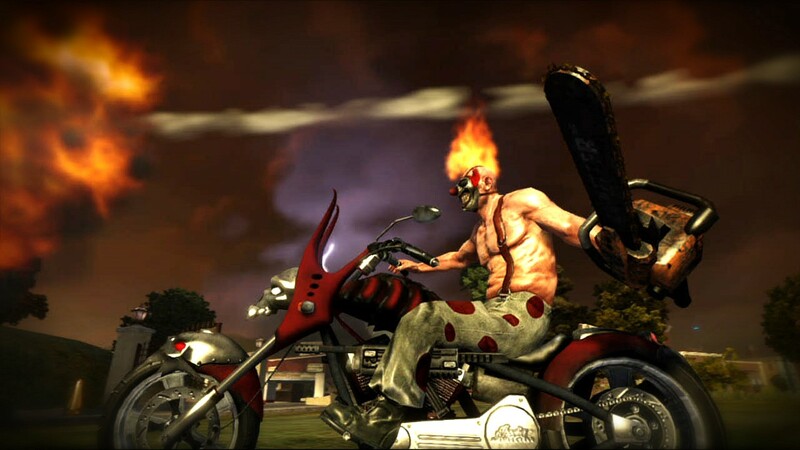 Twisted Metal sees a return of a number of characters from the early days, with a story for Sweet Tooth, Grimm and also Doll face. Each story provides some background on each character and there progression through Calypsos demented tournament, with the victor being granted one otherwise impossible wish by Calypso and provides some motivation. The stories are told through live action cut scenes and some brief interactions between Players not familiar with the characters of Twisted Metal will probably not get a great deal out of these stories and this will provide little motivation to progress. For fans of the series it will be interesting to learn some of the back stories of the more recognizable characters. 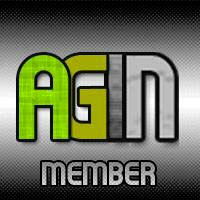 There is of course multiplayer, with four player split-screen available, and also online multiplayer. This is the most enjoyable aspect of Twisted Metal. To be really competitive online you will need to get through the story to unlock the more powerful vehicles. The story mode involves completing events with the three main characters; these are divided up into a few different event types. Death matches are a main mode, with the sole objective to destroy all the other vehicles, much like an FPS death match except with cars obviously. There are some more difficult versions of this, featuring Juggernauts, these are semi trailer with heaps of fire power and armor and they spawn more cars. These throw the difficulty curve out of whack; these are worlds ahead in terms of difficulty than the regular death matches. Another reinvention of the death match is the cage matches, these involve having to fight within a small area of the map and when outside this you take damage after a grace period expires. Races also make an appearance, these can be incredibly frustrating as the opponents are very fast, and it does not take much to not be competitive. The main problem with the races is that they are too chaotic; there are too many other cars and just too much happening on the screen. Boss battles make up another game mode, these are different to other modes and are very much hit and miss. They mix up the overall experience, from fighting giant robots to a couple of brother in monster trucks. These boss battles were heading in the right direction however they have missed the mark. There can be a lack of instruction on how to defeat the bosses and they can be very punishing. The robot battles didn’t work for me, they just weren’t very enjoyable, they were tedious, particularly one that involves staying within a cage to avoid losing health. I don’t want to give too much away, but the final boss battle involves a multi stage battle, each with completely different methods of completion, again the idea was there. Some of these stages were incredibly frustrating and felt as though there was not much play testing prior to release. It seems to be a classic boss battle mistake; there is no culmination of skills learned throughout other missions. The key example is the obstacle course section, there is nothing else like this through out the entire game, it is incredibly difficult and can be incredibly punishing. When things do become very frustrating the controls simply add fuel to the fire. 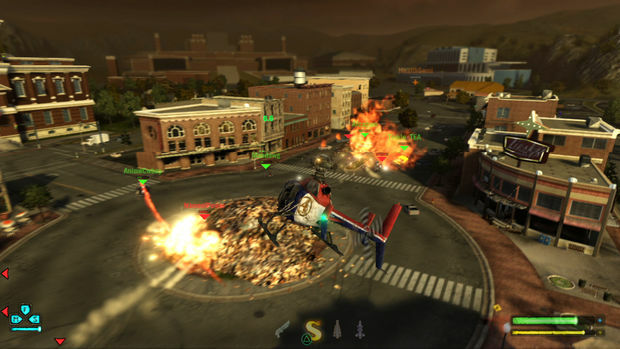 It is highly recommended that you try the training mode prior to hitting the story or multiplayer modes. Using the square button to accelerate and double tap circle to reverse, these things do not come naturally. It took me some time to get used to the controls, but I did, but there was the occasional mishap when things get hectic. And things will get hectic, this game can be absolutely chaotic at times and It is just not possible to follow what is going on. This is just Twisted Metal though, and pretty much what was expected. I would have appreciated the ability to customize the controls or at least have a few more control layout options. I feel this may have been avoided due to the overly complicated special weapon procedures; this may have also been a design and vehicle balance decision. The more powerful specials are often the more complicated to initialize. The controls may turn away newcomers, any die hard Twisted Metal fans be more than willing to overlook these and still have a thoroughly enjoyable experience. The controls are not the only thing that seems out-of-date with Twisted Metal, the visuals are also a bit behind with the times. This is again something that fans will over look and not give much thought about, but those who are not familiar with the franchise will see a title with simple graphics. Car models and locations are adequately detailed, and during my time playing the title I never found myself having an issue with the visuals. So they are a bit behind the times, but you probably won’t mind and it certainly doesn’t detract at all from the experience, and everything runs at a smooth frame rate. The sound is also reasonable; the music sound track is also chaotic, with a range of music from a range of genres. The sound effects are alright, the explosions could have had a bit more of a punch, some of the cars do sound brilliant though. The commentator will provide information relating to each of the challenges when required. The voice work of the characters was actually better than I was expecting, I did not have particularly high expectations for this. Don’t get me wrong, there are not going to be any awards won here, but it was good enough to make me want to get through the story and watch the next live action video. 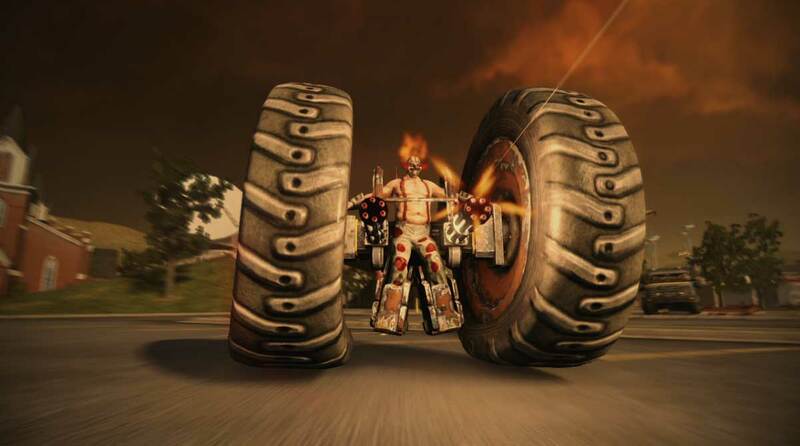 Sound is a bit all over the place, but like many aspects of Twisted Metal there is a strong sense of nostalgia and this can be worth more than state of the art sound and visuals. 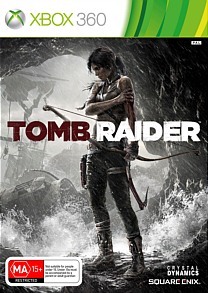 There is a decent amount of value here; the story mode is incredibly tough and rewarding even on the normal setting. There are also medals allocated to completing each event within a certain period of time, and there is also of course trophy support. Multiplayer is where the true value of Twisted Metal lies, and for me the best inclusion is the four player split screen, the way I am sure many used to enjoy the titles. And of course there is also online play which works well. There is plenty to keep you playing and the challenging story will take a little while to complete despite the relatively small number of events. Twisted Metal feels like a game that was released for fans of the series, with old-school controls, simple visuals and audio. A punishing learning curve especially if you have never played the series before. The story provides some insight into the motivations of some of the original characters in the series and as a fan I enjoyed this. This is worth a look for those who are looking for a nostalgic experience, and perhaps those looking for something a little different as car combat like Twisted Metal is unfortunately a rarity in modern gaming.